Dr. Cook was the first African American woman to have been graduated from a professional philosophy program in the United States, and the first to receive a Ph.D. in Philosophy. She received a B.A. With Distinction in Philosophy from Bryn Mawr College in 1955; a B.A. (1957) and M.A. (1961) in Philosophy and Psychology from St. Hilda’s College, Oxford; and was in residence at Yale University from 1957 to 1961, where she did a dissertation in the theory of value and received her Ph.D. in 1965. While at Yale, she was the first woman graduate student to be appointed as a teaching assistant, and was Managing Editor of the Review of Metaphysics. In that capacity she published frequent short reviews of recent philosophy books. Her commentaries remain models of clarity and philosophical acuity. After teaching at Howard University for many years and working in the White House as a speechwriter for President Jimmy Carter, she retired early to pursue her scholarly interests more fully. Her general areas of expertise were Ethics and Social and Political Philosophy. 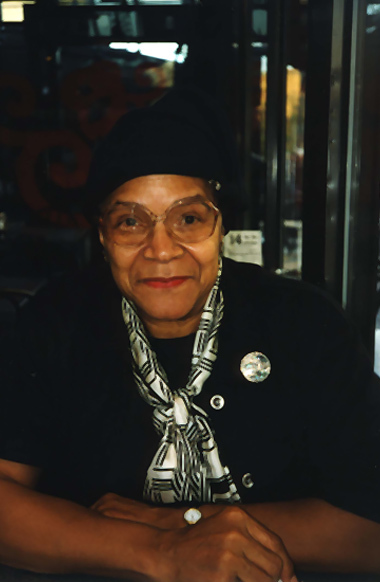 At the time of her death on 6 June 2014, she had been working on a manuscript on the concept of the black experience, which promised to be a major contribution to the field. Dr. Cook is interviewed in George Yancy, Ed. African-American Philosophers: 17 Conversations (New York: Routledge, 1998), pages 263-286.